I’m tired, broke and fatter than I was four days ago; that’s right, I’ve just returned from Las Vegas, aka Overindulgence, USA. 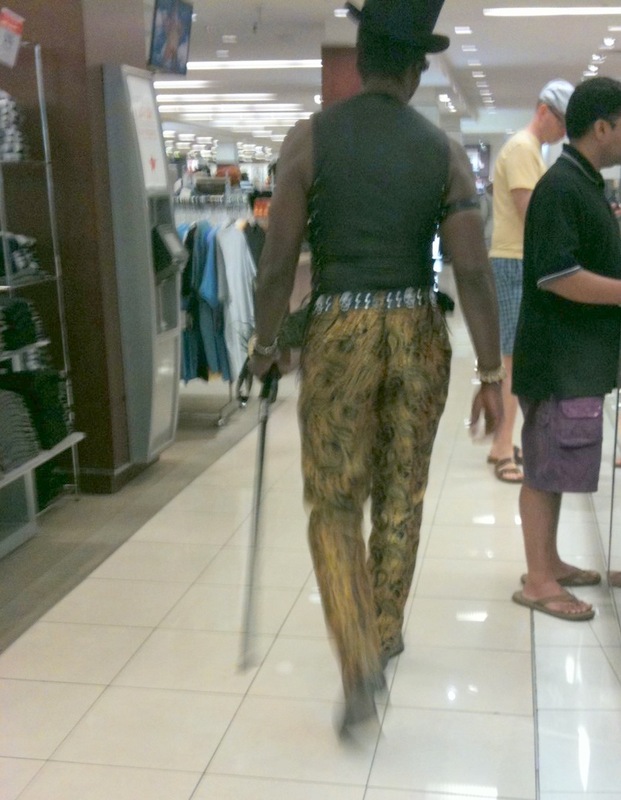 At McCarron Airport on our return to Edmonton, I was taken aside after beeping my way through the metal detector. The female security guard, hands poised to frisk, asked me if I had any metal knees or hips to which I answered, “No, but after four days in Vegas, I’m likely to need them now.” I have walked 500 miles. 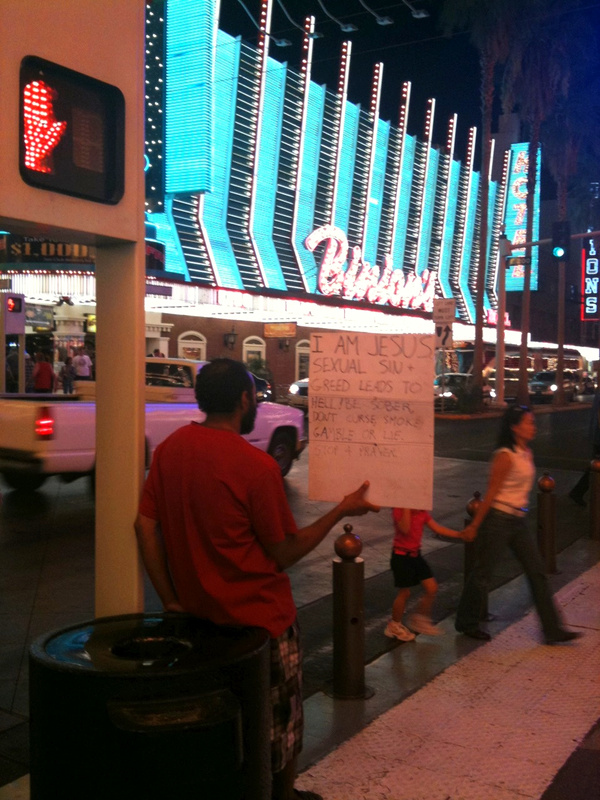 Six years ago on our first trip to Las Vegas I sat beside a veteran traveler who was on her fourth go-around. She gave me one piece of advice: “Wear comfortable shoes.” And now, that is exactly what I tell anyone who is looking for tips on Las Vegas. You will not believe the amount of walking involved. Scores of young women teeter about on 4 inch stilettos at all hours of the day and I silently mock them. Near midnight these scores of women limp along barefoot, their Jimmy Choos dangling from their hands. Carrot Top opens his show with music of the Proclaimers singing “Well, I would walk 500 miles, and I would walk 500 more…” Anyone who has been to Vegas can relate to that song. If you go to Vegas, expect to lose money. If you are realistic going in, then losing money doesn’t hurt so much. Just consider it as part of the cost of entertainment. And if you win, don’t get too attached to your winnings, they’ll leave you soon enough. Some of your Vegas time should be spent on Fremont Street where you don’t have to pay anything to be entertained by, shall we say, naturally occurring sights–like the overhead light show and the disturbing amount of people dressed up in costumes ranging from a stoned looking Bert (from Sesame Street), to several super heroes and a guy claiming to be Jesus and holding a sign stating that sexual sin leads to hell and that drinking, smoking, gambling and lying are bad. Bummer. but you can also pay big bucks for celebrity chef fare on the Strip. We’ve dined at several Wolfgang Puck restaurants, Thomas Keller’s Bouchon, Emeril Lagasse’s Delmonico and his latest Table 10, Michelin Three-Star chef Joel Robuchon’s restaurant, Mario Batali’s B & B, and a host of others. You can spend a little, or you can spend a lot. Sometimes its outstanding, and at other times you get an off night, like the one we had this week at Bobby Flay’s Mesa Grill. Like gambling, you take your chances – even with the big names. 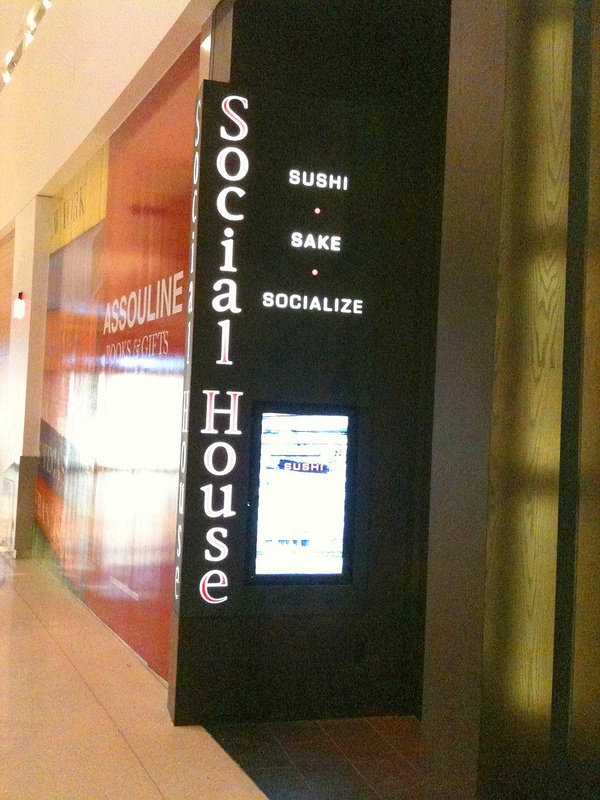 One of our best finds has been Social House, a place for “sake, sushi and socializing” and although there are no celebrity chefs behind the name, the food is five-star quality. The restaurant recently opened in the new glass and glitz megastructure Crystals at City Center, a high-end shopping and food destination mid-Strip, next to Aria . 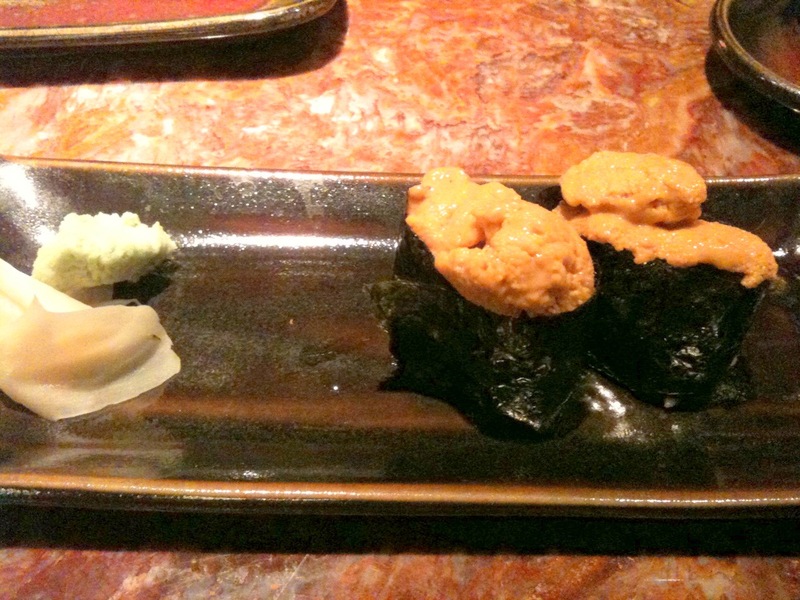 I first tasted Uni (Sea Urchin) six years ago at Social House when they were located in Treasure Island and it was one of those eating experiences that I’ll never forget. But now I constantly yearn for Urchin, not something easily found in Edmonton. 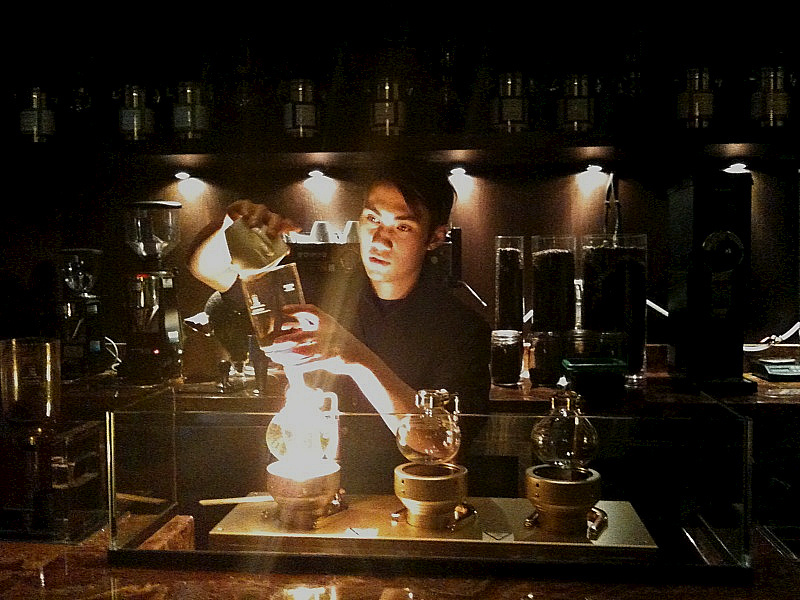 After some uni, kobe beef and mild-altering tonics, we were given a little show put on by Jonah, resident coffee guru who at such a young age astounded me with his knowledge of the bean. Jonah makes siphon coffee, a unique method using vapour pressure to brew coffee resulting in an extraordinarily crisp and clean end result; in fact, there are only a half dozen places in the USA that make siphon coffee and Social House, with Jonah at the helm, is one of them. Watching him was entertainment itself. 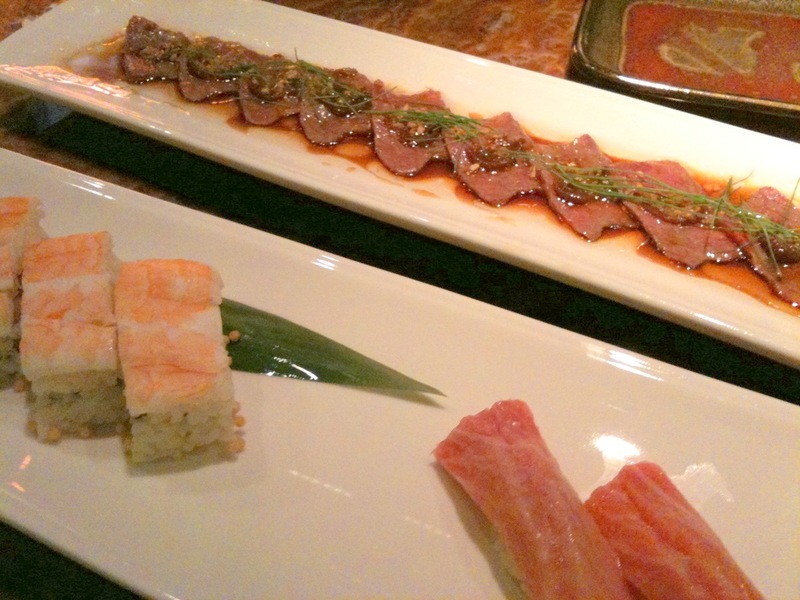 A new find for us was Wazuzu, an Asian restaurant at Encore (part of the luxurious Wynn Resort). Wazuzu features dishes with Thai, Japanese, Chinese, Vietnamese, Indian and Korean influences. I was excited to see XO sauce on the menu. It is offered as a separate side for $5 but despite the high price for a little dish, we had to try it. I was curious about the sauce having just read about it in the Edmonton Journal not long ago. Read about it here. XO sauce is a combination of dried shrimp, scallop, bacon, chilli oil and other magical ingredients and once you’ve tried a well-made XO sauce, your life will never be the same. I could kick myself now for not asking if we could purchase some of theirs. 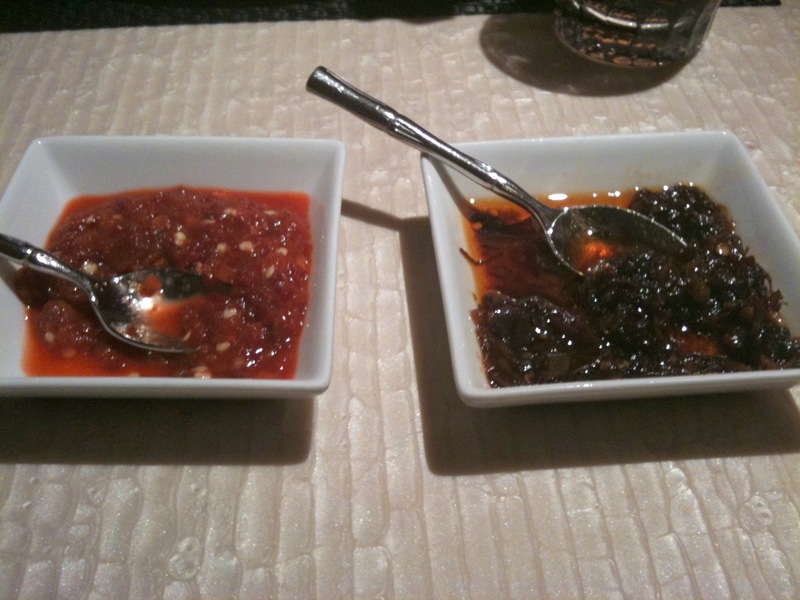 We’ve tried it at other Asian restaurants since then, but no one comes close to the XO sauce (shown below at right) at Wazuzu. So yes, we returned home with less money than we started with but that was to be expected. The best thing about being a veteran Vegas-goer (that was our 8th trip) is that you don’t have to think when you’re there. 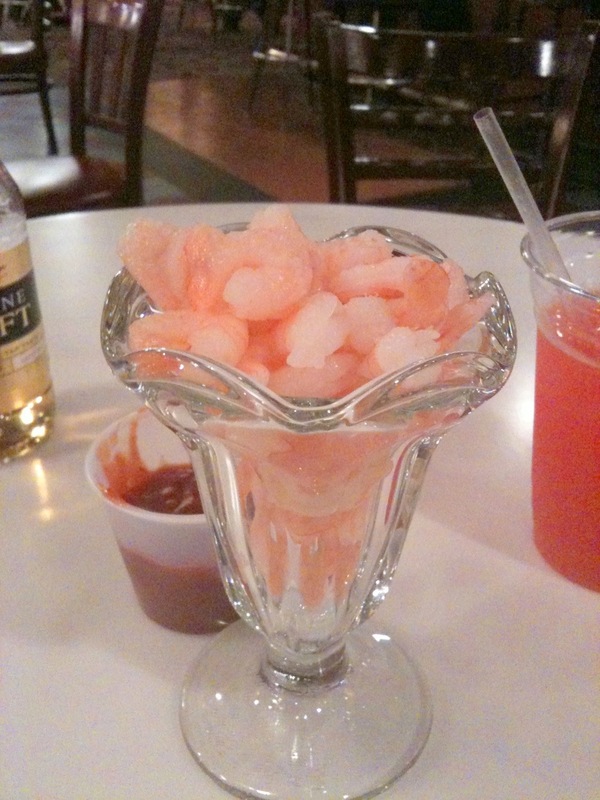 You get to know where the good food is, where the cheap drinks are or where the best drinks are. You know the shortcuts, the tricks and how to get in and out of Caesar’s Palace without having to call someone for help. There’s always something to do, something to see and somewhere to go, and if you’re tired, you just pull up a chair at the closest watering hole and watch the world go by. Sometimes that’s the best entertainment of all. ← Sherwood Park Farmers’ Market – it’s all good. Uni is a take it or leave it item (for me it’s a LOVE item) and it’s available at many places here in town. I suggest Furusato or Sushi Wasabi to get your fix. Halleluja! Thank you Chris: Sushi Wasabi here I come!